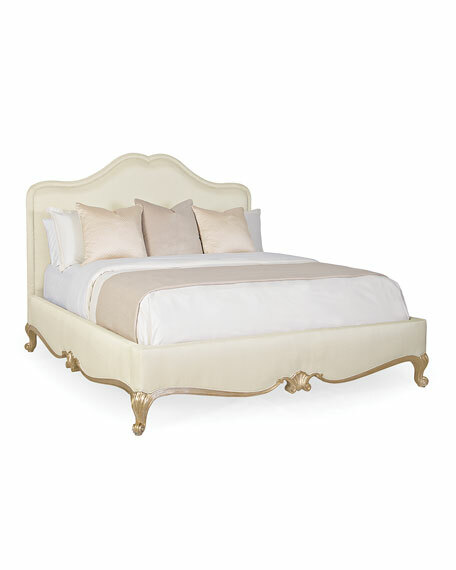 This graceful French bed has been updated in a hand-detailed Auric finish. 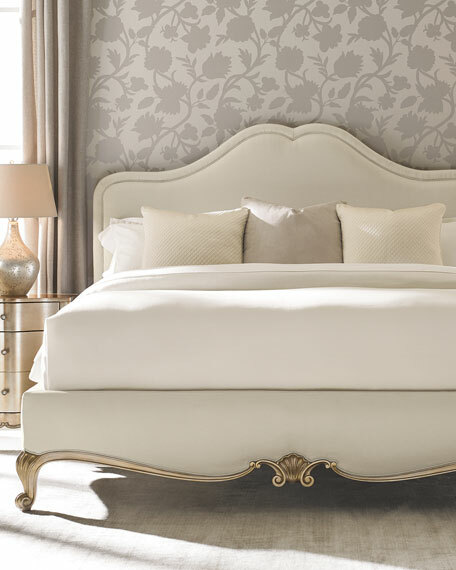 Its high back is upholstered in a textured créme fabric to enhance its overall elegance. 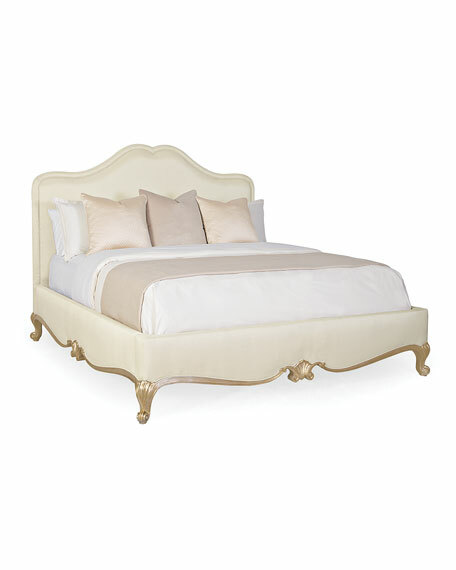 Its low footboard and curved legs have been embellished with hand-carved shell details. 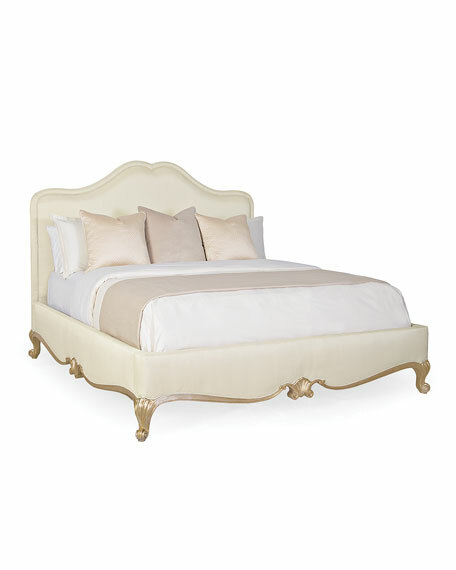 This piece is a vision for any master or guest bedroom. Birch solids and maple veneers. Light assembly may be required. Floor to top of side rail: 19". Floor to bottom of side rail: 4.5". 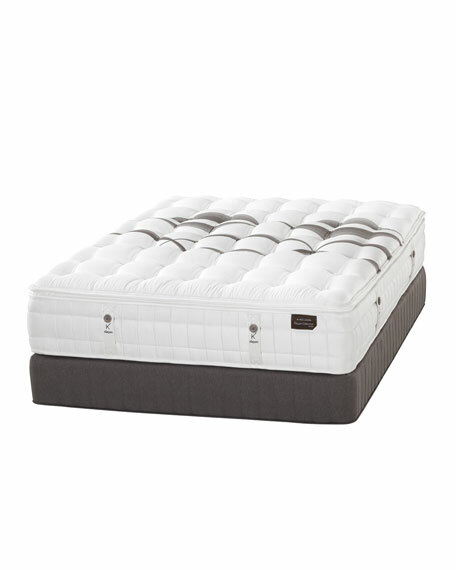 Mattress opening: 78"W x 82"L.
Overall, 84"W x 88"D x 65"T.
Boxed weight, approximately 284.9 lbs. 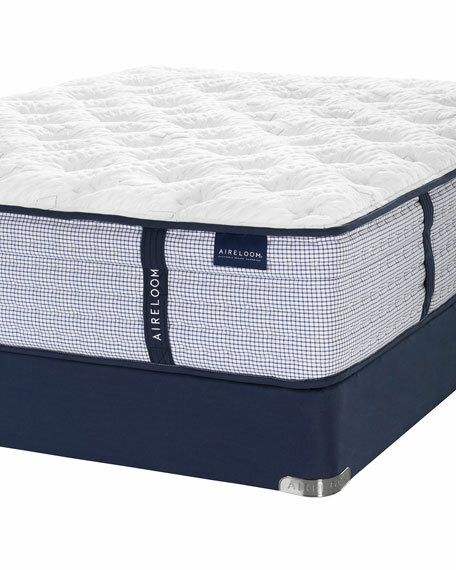 Mattress opening: 62"W x 82"L.
Overall, 68"W x 88"D x 65"T.
Boxed weight, approximately 216.7 lbs. 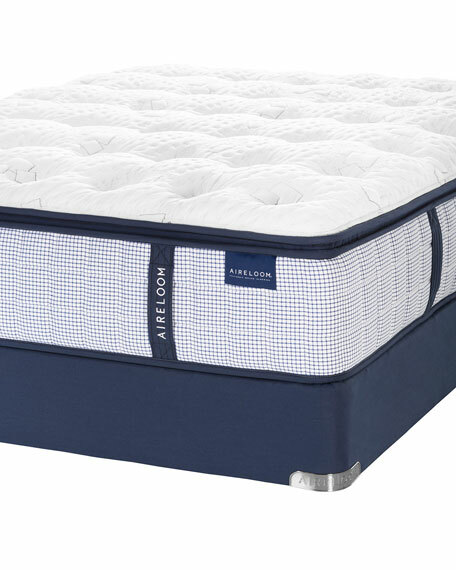 Mattress opening: 74"W x 86"L.
Overall, 80"W x 92"D x 65"T.
Boxed weight, approximately 294.8 lbs. 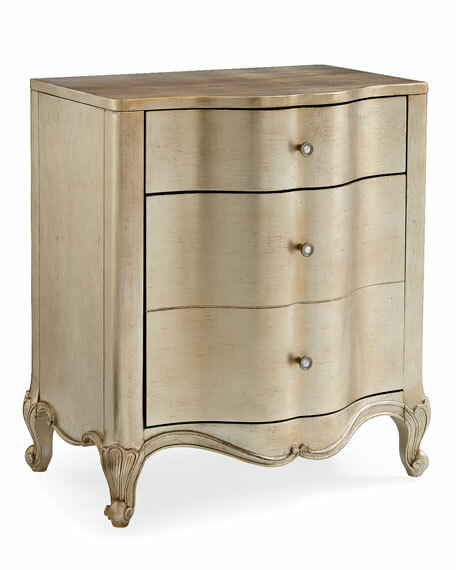 Cozied up next to any of our Caracole beds, You Are The One, is a delightful night stand with two drawers that offer perfect space to store your bedside favorites. Its cute, curvy shape is dressed in an Auric finish. Four-inch squares of silver leaf are hand-applied and kissed with a soft glaze. 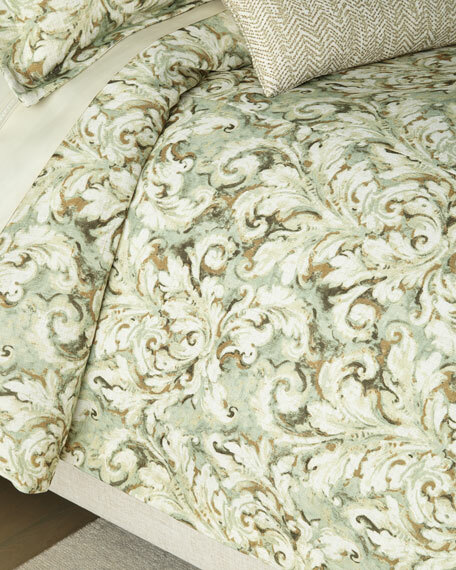 Inside the top drawer you will find a botanical print stenciled in metallic silver lining the drawer bottom. 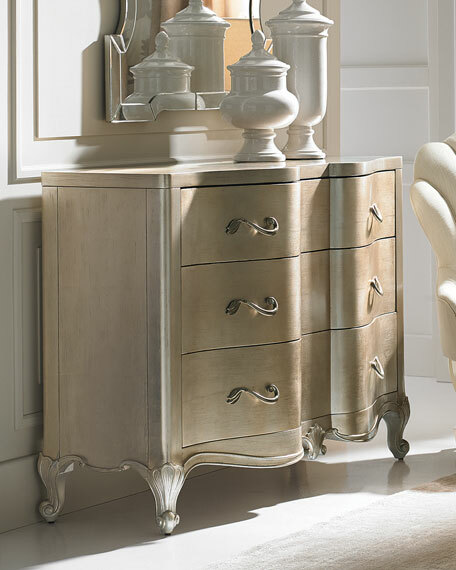 For smaller spaces, feel free to use this as the perfect side table next to your favorite sofa. Two drawers: top drawer with printed drawer bottom; bottom drawer with hidden storage. Top drawer: 19"W x 14.25"D x 4"H.
Bottom drawer: 18.75"W x 14.25"D x 10.75"H.
Overall, 25"W x 18"D x 29.3"T.
Boxed weight, approximately 111.1 lbs. 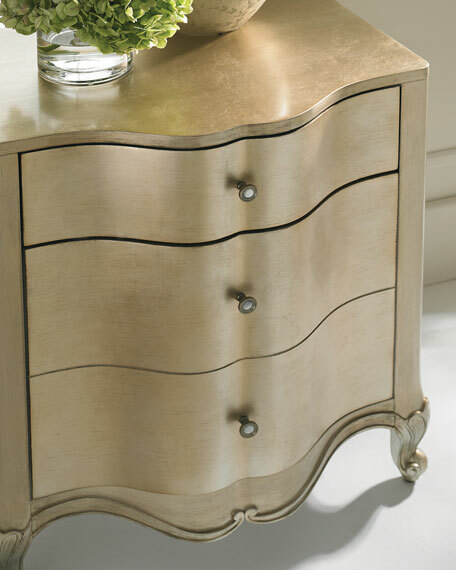 Artfully dressed in a hand-detailed Auric finish, this chest with three drawers is the perfect accompaniment to any of our beds, but also beautifully lends itself to a hallway or living room. 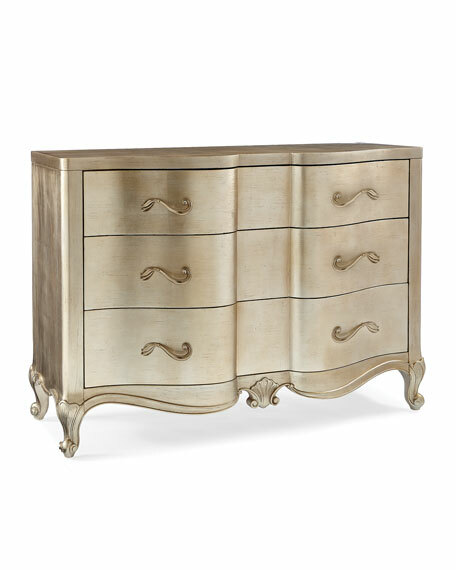 This piece is classically French, with its shapely front and curved legs with carved shell details. Open the drawers to discover a botanical print stenciled in metallic silver. A signature for Caracole! Three drawers with printed drawer bottoms. Top drawer with divider and silver tray. Top drawer: 44.25"W x 13.5"D x 6.5"H.
Middle drawer: 44.25"W x 13.5"D x 7.5"H.
Bottom drawer: 44.25"W x 13.5"D x 8"H.
Overall, 52"W x 20"D x 36.8"T.
Boxed weight, approximately 226.6 lbs.